Dog bite prevention has a special week of its own set aside annually in United States: In 2013 the dates are May 20 – May 26. This special week is promoted largely through the efforts of such organizations as the United States Postal Service, State Farm insurance company, and the American Veterinary Medical Association. Much has been written about dog bite injury inflicted to people, particularly to children. Dog bite attacks on people are recognized as a serious public health problem worldwide. In the United States, people are bitten by dogs on approximately 4 – 5 million occasions annually, and about 25 – 40 people are killed yearly by dogs. Unfortunately, despite the annual occurrence of this special week, serious dog bite attack on people continues to happen at surprisingly high rates in the United States, and fatal dog attacks in the USA have substantially increased in recent years, and are at record high levels for 2013. Most dog bite experts and other canine professionals believe that dog bite attacks are highly preventable, however. 1. Owners need to be cognizant of, and implement, basic dog bite prevention measures such as adequate training and socialization for the dog preferably at an early age, intelligent selection of a dog that would not be incongruous with a person’s lifestyle, appropriate monitoring of dog-child interaction, and control and confinement of a dog when needed. 2. This becomes especially true for dogs from breeds with uncertain genetic backgrounds, such as pit bull, Rottweiler, German Shepherd and mastiff type dogs as well as other large and muscular breeds that have the potential to inflict serious bodily injury. 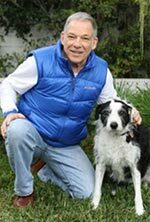 Read more about dog bite prevention by dog bite expert witness Richard Polsky PhD, or visit the American Veterinary Medical Association for additional commentary.